Update: On March 21, 2015 Galloway Township Police arrested Officer Raymond Glick, who is also a Galloway resident, and subsequently charged him with aggravated assault. Glick, age 53, is 24-year veteran of the Galloway Township Police Department. 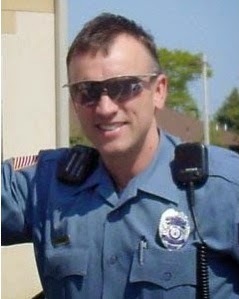 Officer Glick terminated his own employment with the Township citing his resignation and intent to retire. The Police Department has no further comment regarding the on-going investigation. Galloway Police have confirmed that Galloway Township Police Officer Ray Glick has been charged with aggravated assault. The circumstances surrounding the charges have not yet been released. Police stated a press release regarding the arrest is forthcoming. Lt. Donna Higbee did confirm that Glick has since submitted his paperwork for resignation and intent to retire separately from the charges. Check back for details as this story continues to develop. Great officer who served Galloway residents well. I'm shocked, shocked to find that Ray Glick has assaulted someone! If this was anyone else, Big Donna would be telling the press anything they wanted to know about the perp, including his favorite color and eating habits. What I see here is the usual blue wall of silence. Shame on the Galloway Township Police Department, Galloway Council and the people who're keeping the details of this matter from the public for almost 2 weeks. I guess that my comments don't count. It almost seems like you're protecting someone. Anyone wiith common sense would know that the department is not allowed to comment on an ongoing investigation untill it is complete. Plus it does reflect your stupidity when you start to call people names! Grow up !! You haven't got a clue, Anonymous @ 11:11 am. You really think it takes more than 2 weeks to investigate a single case of aggravated assault? Since it's obvious that you didn't bother to read my remarks, I'll state here that I wasn't asking the department to comment on an ongoing investigation. It's not everyday that a police officer is charged with aggravated assault and then retires shortly thereafter. So, where are the details? Why wasn't Glick in either of the last two Police Blotter releases? (In case you didn't know it, I'm not the only person wondering why his name is absent from those releases.) What about all those people whose names are published in the blotter? Do you think that all of them have had complete investigations by the time their names hit the newspaper? Give me a break .... I apologize if I gave anyone the impression that I was insulting Lt. Donna Higbee. That wasn't my intention. This means he's trying to get his pension. No - not unless cleared of charges. If he committed a felony as a cop, on or off duty, goodbye pension. Police have too much power, and sliding this guy his pension during covering up the facts known surrounding the incident, is criminal collusion to defraud the taxpayers. Cops should be punished double the average citizen, but instead they have a private elite force, increasingly acting against the People. Wait.... What? You wrote "If this was anyone else, Big Donna would be telling the press anything they wanted to know about the perp, including his favorite color and eating habits. What I see here is the usual blue wall of silence." If the guy did something wrong, made a mistake, or however you describe it he is being held accountable.